One of the great things about being the benevolent dictator of The Source is that I get to choose which photos run each day in our “Art of Transit” posts — and I can even conveniently choose my own photos or other images that are more transportation-related than directly about transit. I spent last weekend in Death Valley National Park, which at more than 3.3 million acres is the largest national park in the lower 48. 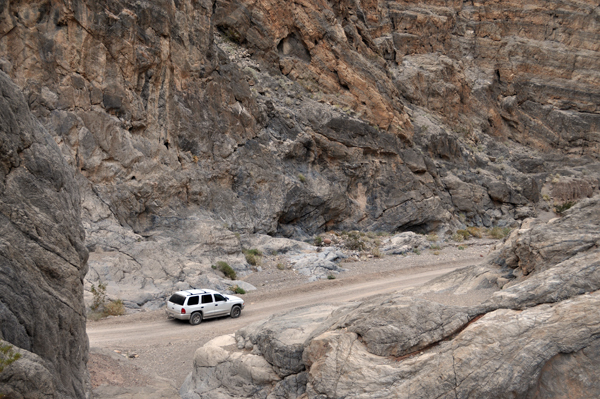 The above photo was taken in Titus Canyon, a neat place to hike — and one of those canyons that still has a four-wheel drive road dating back to the days when mining first brought people to Death Valley. I’m still amazed at the places that vehicles can go — and are allowed to go — in some of the West’s most scenic places. As for the photo at the right, it’s a rest stop off Highway 178 in Trona, the borax mining town enroute to Death Valley. I thought it was one of the grimmer-looking rest stops I’ve encountered (if you’re into rest stop architecture, visit Iowa!) 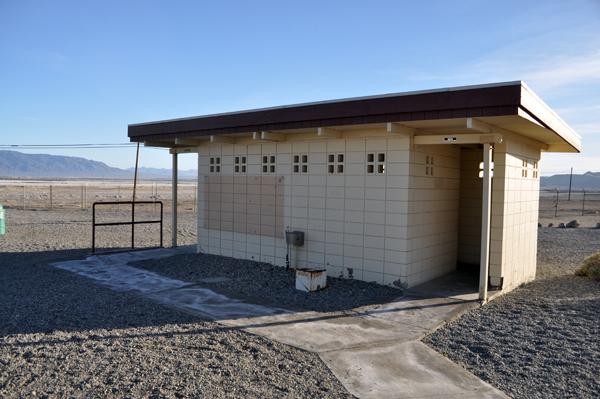 although I give Trona credit for keeping it clean. Or clean enough. I’d like to know who actually enjoys or even cares to read about the personal adventures of taxpayer-supported staff members. I want transit and transportation “news and views,” not a travelogue. I assume others do as well. With all the surveys you guys do, have you ever thought about assessing the interest level in these types of posts? You guys have lost your way. I am offering you one free hug. You can cash in this offer anytime.